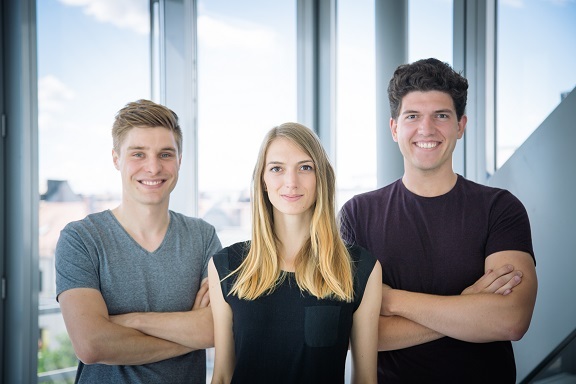 In the last two weeks we presented to you what our last year’s winner of the Innovators‘ Pitch categories Digital Health and Travel & Tourism, the startups Boca Health and Twyla, have been up to since the competition at hub.berlin in November 2017. 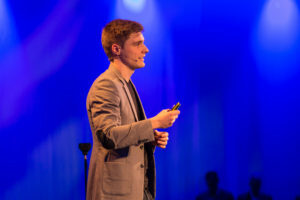 Blik is another startup that participated in and won the Innovators’ Pitch – in the category IoT. 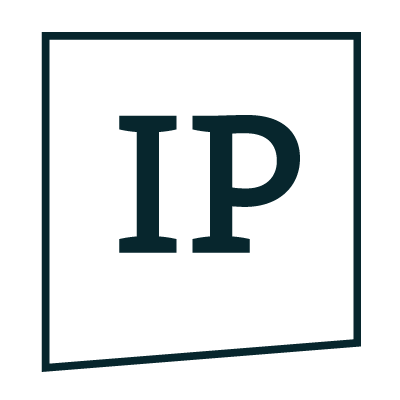 How was being part of the Innovators‘ Pitch as one of the finalists – and then even to win? Blik: It has been a great experience from the beginning to the end. 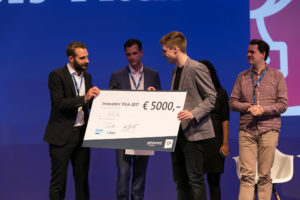 Just one year earlier we watched the pitches from the outside as a regular conference attendee – now it was us pitching on the main stage and even winning the competition! Afterwards we received great feedback about our real-time load-carrier monitoring system from many sides. Blik: We have been very busy in the last months! We have been working closely with our prior customers and are happy to have the first live systems in the field and were able to attract a lot of additional interest for our solution. We also have been in successful discussions with SAP and are now part of their IoT Accelerator program. On top of that we are currently finalizing our seed funding round. What did you take from participating in the Innovators‘ Pitch? Blik: I believe the key take away was the close contact to SAP. blik and SAP are complementing each other very well, both are working on a higher transparency in the supply-chain. We are looking at the same problem from a different perspective and that’s what brings many benefits to our cooperation. We are currently talking to the first customers that want to combine both, the real-time information of blik and the deeply integrated functionality of SAP, to generate even more transparency about the real-time movements of load-carriers in the supply-chain.